Asiyab Kharabeh (Mill ruins), one of the tourist sights and the East Azerbaijan province and the city of Jolfa few kilometers of the border with Azerbaijan Republic is located. This cheery mall about 27 kilometers Hadishahr city is located in a secondary road located in the beautiful valley. This beautiful clear water from mountain springs Kiamaky one long mountain region west Dyzmar Arasbaran and Marand city and be part Zenouz originates in a very grown fig trees embodies spring water and the beautiful waterfall that is perhaps unparalleled in Iran as a string to the continuous channel flow will be towards the valley. All surfaces covered with moss and waterfall wall aquatic plants and landscapes created the heart is controversial. Best time to visit: Spring and Summer (April up to August)is the best time.other season is very cool. 1- Go to Baihaghi or west terminal of buses in Tehran (more info), Also you can use train. "Kharaabaa Dirmaan" fall is another tourist attraction site of this part of Iran. 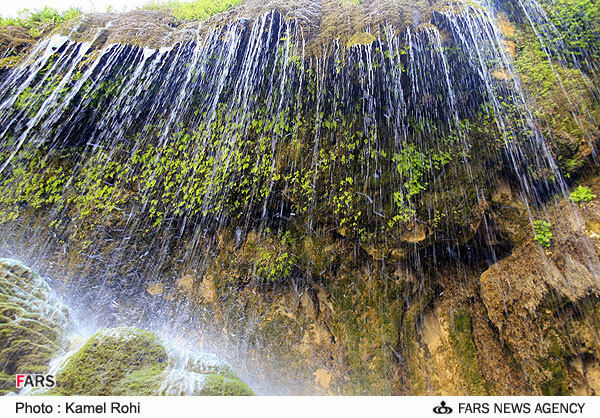 In fact, 135 kilometers north of the city of Tabriz, and in the vicinity of the Jolfa border region, a beautiful valley exists which is known as "Kharaabaa Dirmaan". The Jolfa border region maintains a hot climate. Upon entry to this green valley, the visitor starts to praise its grandeur and beauty, given its unique and magnificent landscape. A river runs at the rear end of this valley, which originates from a number of springs. 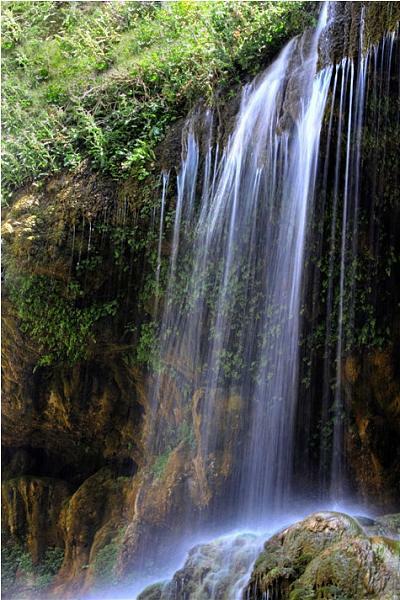 At the base of these springs, one finds a large number of fig trees. 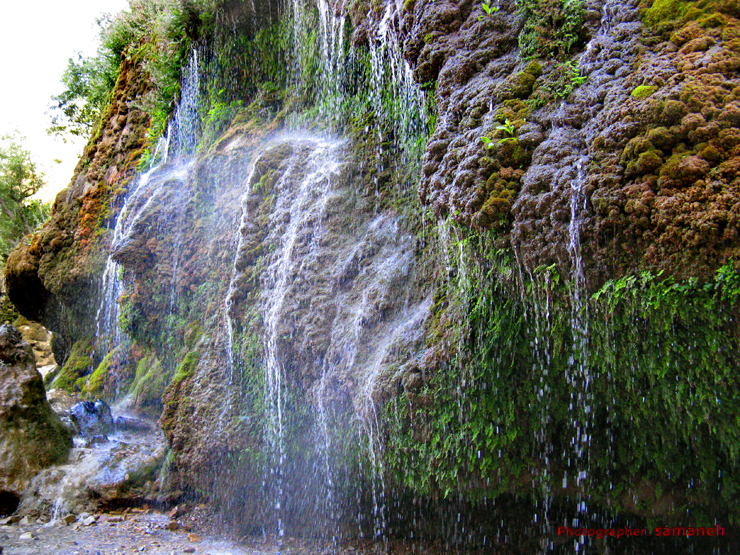 The spring's water current, in its route, has created several small and large falls, each of which are unique and one of a kind. 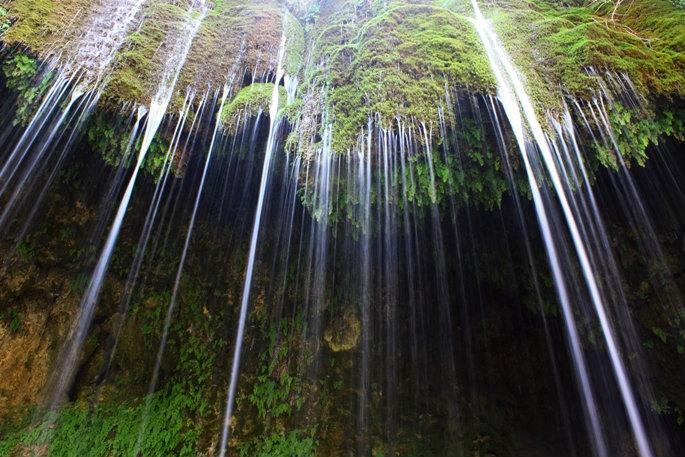 The walls behind these astonishing falls are covered with algae and plants, creating a remarkable scene. These astounding landscapes, coupled with the harmonic sound of water currents and the mild climate of this region draw many eco tourists to this region. Previously, there was a mill in this region, which worked with the water current of this fall. However, only ruins of this mill remain to this day. Hence, this region is also popularly known as "Aasiaab Kharaabeh" region, which means the region of "the ruined mill". If members have a good story to share with me.